Hey, this photo is under © copyright! 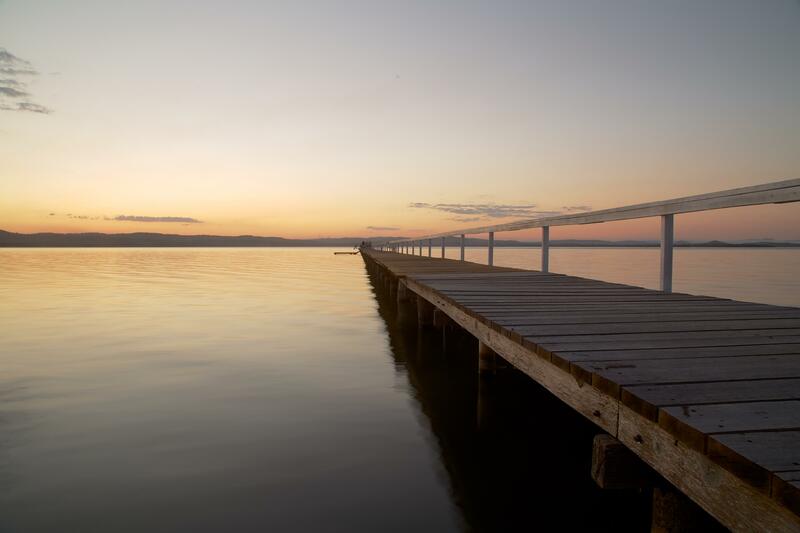 Long Jetty is a suburb of the Central Coast region of New South Wales, Australia, located on a peninsula between Tuggerah Lake and the Pacific Ocean south of The Entrance. It is part of the Wyong Shire local government area. The only street in The Entrance district to go from the lake to the sea starts in Long Jetty as Toowoon Bay Road. The jetty after which the town was named is located at the end of Archibold Street. The jetty was opened in 1915 and celebrated 100 years in 2015. This provided a cross lake service with Wyong. At the time some of the main services for Long Jetty were located around The Entrance Road / Archibold Street area including the former post office. Copyright © Jack Siu 2015. All Rights Reserved.